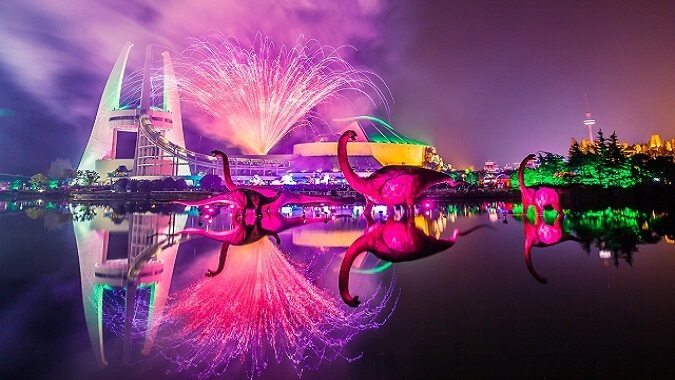 Changzhou Global Dinosaur Town is a shining business card for foreign exchanges of Changzhou. 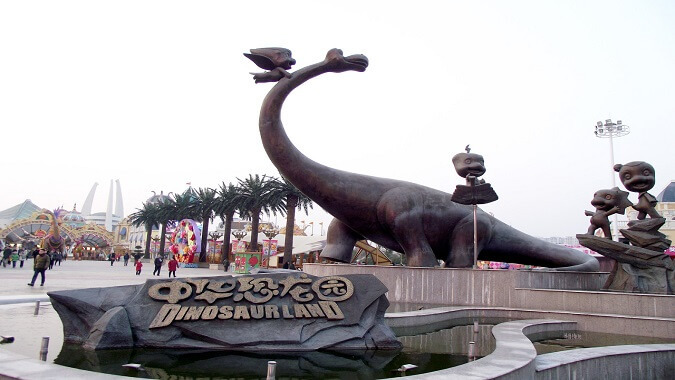 Changzhou Global Dinosaur Town, having enjoyed the fame as “The Oriental Jurassic Park” and covering an area of over 4,800mu including: China Dinosaur Park, Dino Water Town, Dinosaur Valley Hot Spring, Dinosaur Park Theater, Xiangshu Bay Garden Hotel, Grand Metropark Hotel, Dinosaur Theme Resort Hotel and Sanhe Sanyuan Water Tour etc., is a comprehensive resort area integrating theme parks, tour and leisure oriented business, cultural performance, hot spring leisure and cartoon creation and is a shining business card for foreign exchanges of Changzhou. 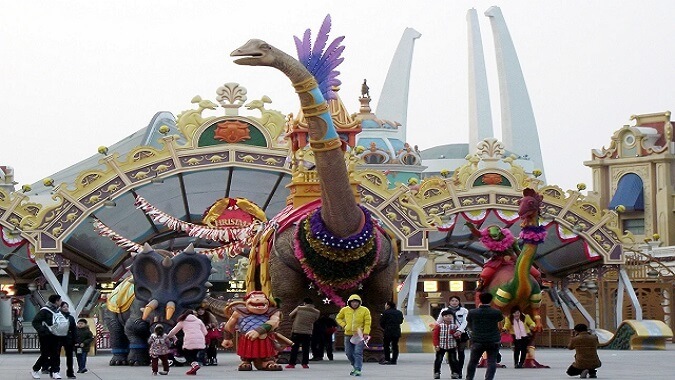 As the landmark building for China Dinosaur Park, it is innovative and particular for its sculpt design which looks like three dinosaurs are playing by raising the head and seems to be the reappearance of Jurassic Period dinosaurs. The most precious treasure of the museum is the dinosaur fossil skeletons of China dragon bird, giant S. giganteus and Xu’s lufengosaurus. 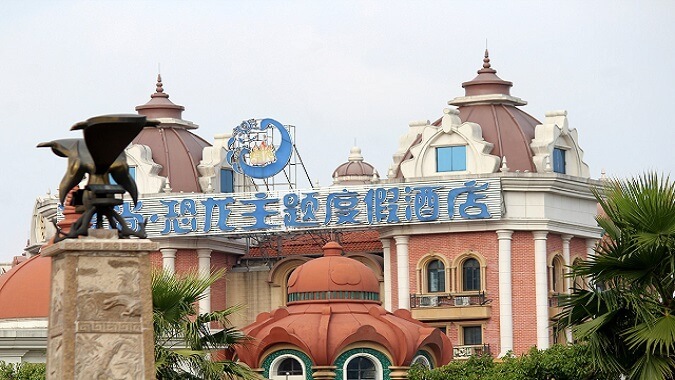 It owns the main entertainment equipment as the domestic first 4D roller coaster and the domestic highest 120m tour tower. It is the only four-star resort hotel in Shanghai and Nanjing area and even in eastern China integrating such resort elements as the exotic cultural tourism and golf etc. and has won a great honor as the state Golden Leaf Green Hotel.